Karama sought to join the sister school program in 2016 to grow the Asia literacy and intercultural understanding of its staff, students and wider school community. Karama school staff have made two visits to Timor to further develop their links with Formento Primary School and work closely with the SenaiNT English Language Centre aligned staff, to develop and implement quality programs and practices that would be mutually beneficial. The City of Darwin Council and Apple Australia have also worked with both schools to align practices. 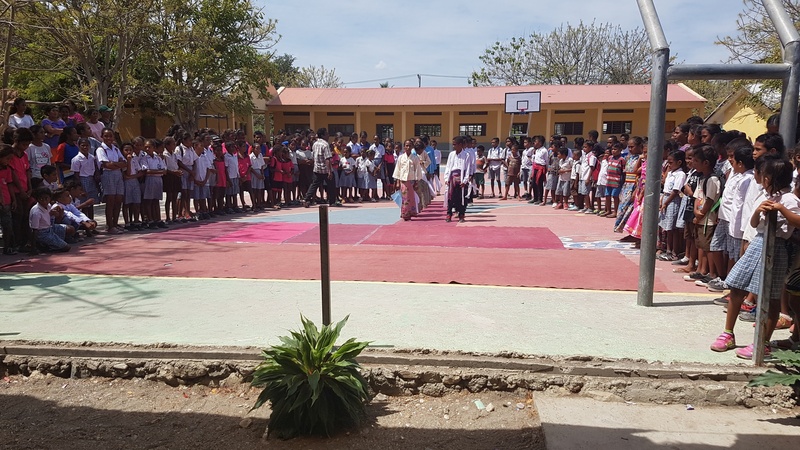 The visits to the schools in Timor Leste cemented the commitment to the Sister School program and have shown strong support from staff, and the School Councils. The initiative has energised the students and parents to purposely value add to the intercultural relations through gifting of domestic and educational items to the Timorese communities, host visits for Timorese educators (SenaiNT) and promote bilingual resource production.